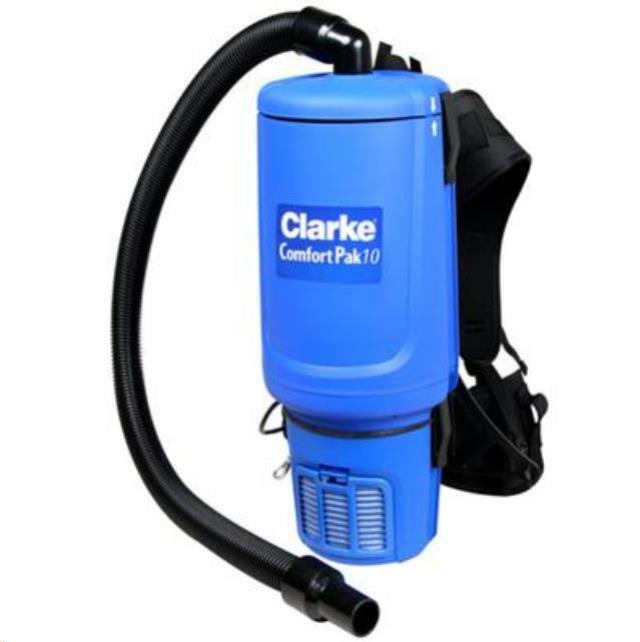 The newest member of Clarke's soft floor line is the Comfort Pak back pack vacuum. It features an ergonomic frame that was designed by backpackers for support and stability, lightweight, easy to maneuver, with an easy mess-free bag change. Experience the difference with Comfort Pak from Clarke. * Please call us with any questions you may have our vacuum backpack/ electric rentals in Columbia MO, serving Central Missouri, including Jefferson City MO, Prathersville MO, Midway MO, Furner MO, and Fulton MO.